Yoga Shala is a unique yoga studio in San Luis Obispo. We are located inside SLO Movement Arts Center. Our classes are personalized and taught to the needs of each student. 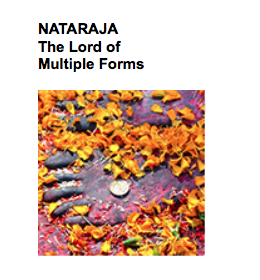 We teach specialized courses in Shadow Yoga and Nrtta Sadhana. In addition we offer Hatha Yoga classes, classes for Beginners and Private yoga instruction. 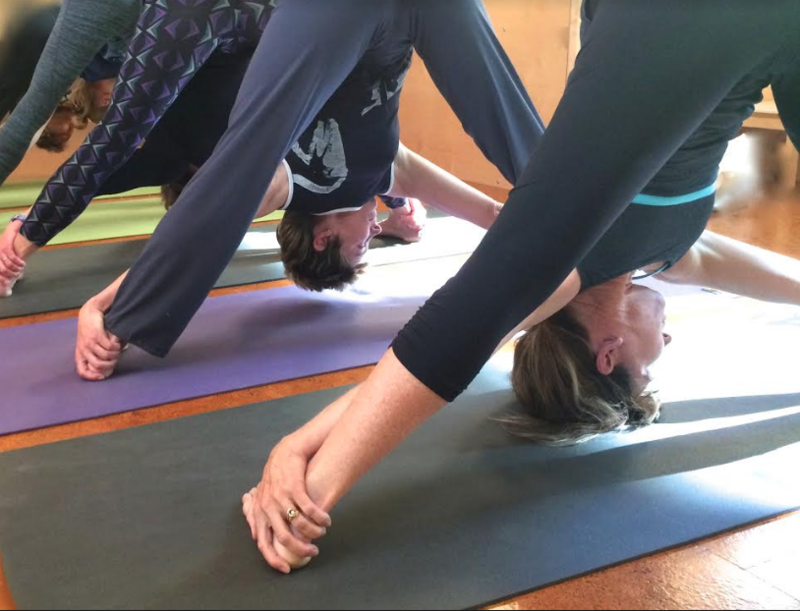 Our teachers have been teaching yoga in San Luis Obispo for the past 22 years. Please join us! Yoga Shala is on Spring Break April 9-28. Classes resume April 30. 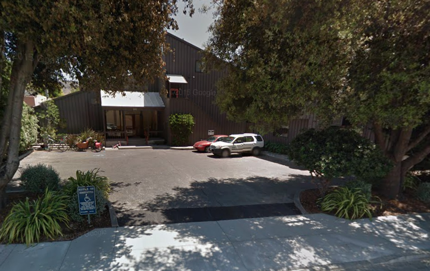 Yoga Shala is located at 2074 Parker St. 93401 – inside SLO Movement Arts Center. 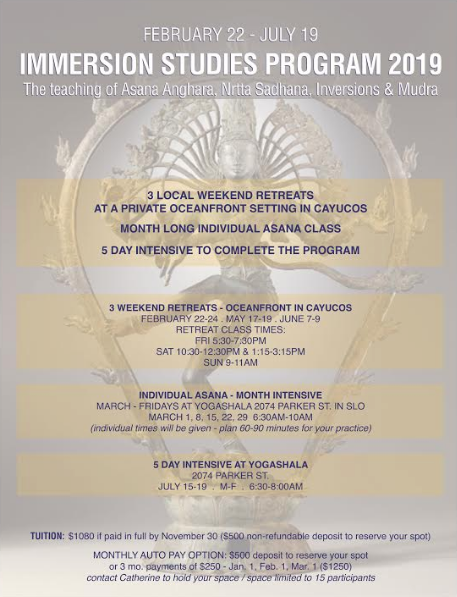 SPRING BREAK APRIL 9-28 CLASSES REUME APRIL 30. Shadow Yoga is a Hatha Yoga School founded by Zhander Remete that places special emphasis on preparatory forms as basis for a safe, meaningful development of students. These preparatory forms, the preludes, integrate principles common to all the internal arts, yoga, martial arts & dance. The sequencing of positions and rhythm of movement and breath are derived from the anatomical and energetic principles of Hatha Yoga and guided by the 108 points of the Indian marmasthana system. In the Shadow Yoga practice the preludes are first systematically learned and then practiced for a period of three to seven years. Basic mastery of Balakrama and Chaya Yoddha Sancalanam is prerequisite for working with the Kartikkeya Mandala. Solid grounding in the Karttikeya Mandala is required to proceed with the primary asanas, which lead to the practice of inversions. U.S. Teachers qualified to teach Shadow Yoga by Zhander & Emma. 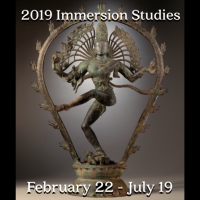 Immersion Study 2019 begins in February after ( the New Year Intensive Jan. 7-11 ). Asana Anghara, Nrtta Sadhana, Inversions and Mudra. *3 local Weekend Retreats at a private oceanfront setting in Cayucos. * a month long Individual Asana class on Friday mornings in March. *5 day intensive to complete the program. or sign up online pay in full or deposit. * $500 non-refundable deposit to reserve your spot. (remainder due January 15, 2019. Course descriptions are simply an guideline. Catherine will adjust & progress according to the group. July 10-14, 2019. Tassajara is nestled in a mountain valley, inland from the Big Sur coast in a remote part of the Ventana Wilderness. Enjoy morning and evening yoga practice, soak in the hot springs, settle into silent meditation, meander the trails and along the creek, and savor Tassajara’s flavorful vegetarian cuisine. The hand-crafted Japanese-style bathhouse has separate sides for men and women and is clothing-optional. Each side has a tiled indoor hot plunge, an outdoor plunge, steam room, communal showers, and a private bath. 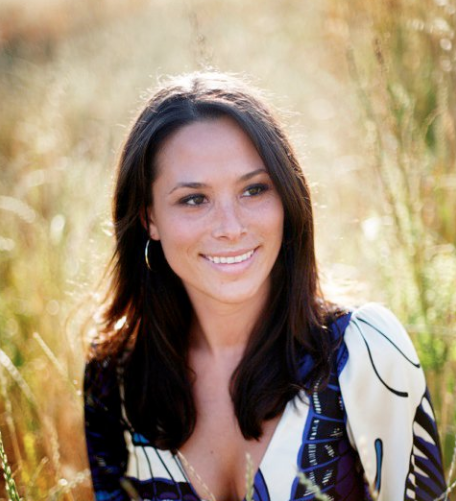 Shelley has been leading retreats since 2003. Her classes are supportive while challenging & encouraging students to reach their potential. 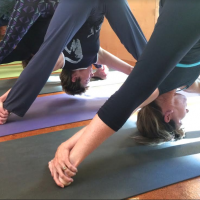 Learn to build your practice from the ground up this class will introduce proper breathing, build strength, increase flexibility, reduce stress and give foundation to the yoga practice. no yoga experience required. Restorative Yoga is a therapeutic style of yoga which utilizes props to make it easier for the body to get into certain poses, and thus, surrender to the pose. Practicing poses using props provides a completely supportive environment for total relaxation. The more your body is supported in the poses the deeper the sense of relaxation. Relaxation is a state in which there is no movement, no effort, and the brain is quiet. 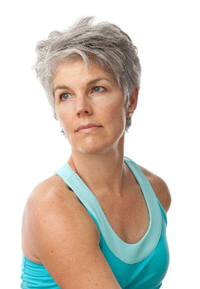 Typically, Restorative poses are sustained for as long as you are comfortable. Each class will explore the fundamentals of the yoga practice. Emphasis on breathing and stilling the mind will be given. Some yoga experience recommended. Beginners welcome. Open to all levels of students. 6 months yoga experience recommended. An introduction to Shadow Yoga This 2 hour class will introduce the cornerstones of the Shadow Yoga practice. This is the first step for students who are interested in learning Shadow Yoga. 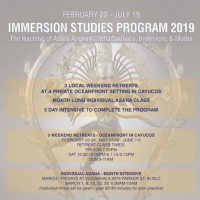 Students who attend this class will be qualified to join any of our Shadow Yoga Basics classes offered at the Yoga Shala. No yoga experience necessary. Beginners Welcome. Level 3 – Refining the preludes and primary asana . These series classes are for students who already have a foundation in at least one of the prelude forms. Refinement of the preludes will be given and classes will work in the full practice format. Students will be exposed to primary asana work. 6 months-1 year minimum experience with Shadow Yoga is required to attend this class. Classes are taught by Catherine Halcomb. This form of yoga was founded by Zhander Remete. 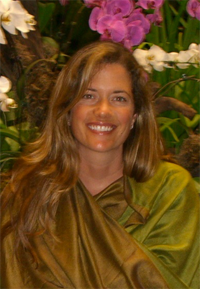 www.shadowyoga.com or locally www.catherineyoga.com. Students are encouraged to park in the small lot at our main entrance or in the side lot. There is also plenty of street parking on Parker St.